Are you dealing with an ailment or injury that just won’t go away? One of the ways to promote healing within your body is to turn to acupuncture. It’s an ancient alternative medical practice that relies on the use of tiny needles to treat mild to moderately severe ailments and injuries. It balances the energy in your body and gets your blood circulating. In addition to utilizing acupuncture, you can also incorporate herbal supplements into your treatment program for the best results. Herbal supplements will often work more safely than pharmaceutical medicines while providing you with the relief you’re looking for. Here are some of the benefits that come along with using herbal supplements along with acupuncture. There are many people who don’t want to put synthetic pharmaceutical medications into their bodies. They would prefer to take the all-natural approach by using herbal supplements. Herbs, for the most part, are foods (nuts, berries and grasses) found in nature that don’t contain anything artificial. This helps many people feel better about what they’re taking. There are many Americans who use pharmaceutical medications to treat everything from painful injuries to sleeping problems. And while these medications can be effective, they can also cause a person to build up a dependency on them. Over time, they won’t be able to function normally without the use of the medications. Herbal supplements, on the other hand, are all natural and won’t prove to be habit-forming. Another potential danger that comes along with using pharmaceutical medications is that they often cause several side effects. That’s because they’re often synthetic, or made by isolating out the active compound from an herb. This won’t be a problem with herbal supplements since herbs keep all of the natural components of a medicine plant intact, both active and secondary. These completely intact plants will naturally protect you from experiencing side effects that could hinder your ability to function. When used properly, a combination of herbal supplements and acupuncture can work wonders for your body. 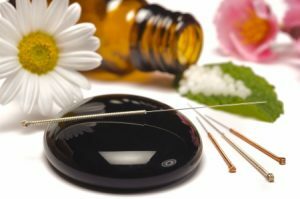 WellStream Acupuncture can tell you all about the benefits of herbal supplements and acupuncture and put your mind at ease when it comes to using them. Feel free to give us a call at 323-463-9355 today to schedule your first visit!